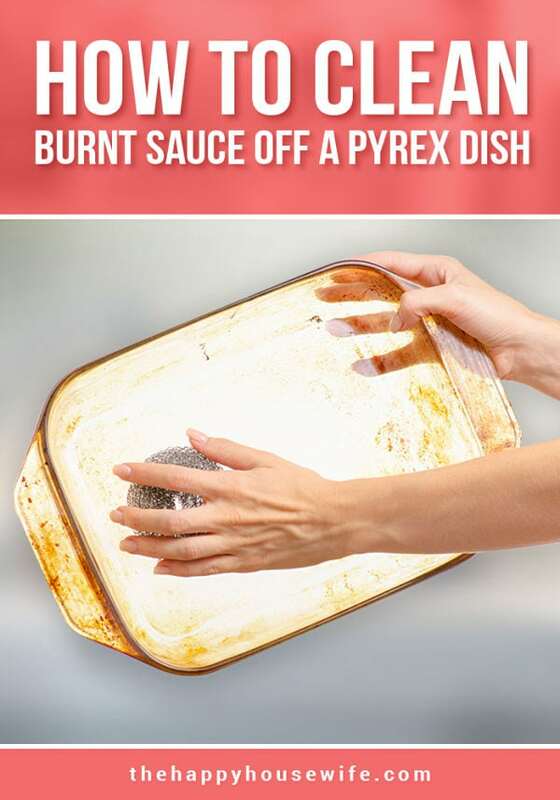 Have you ever had to clean burnt on sauce in a pyrex dish? This happens to me all the time. Especially when I make lasagna or any other baked pasta. 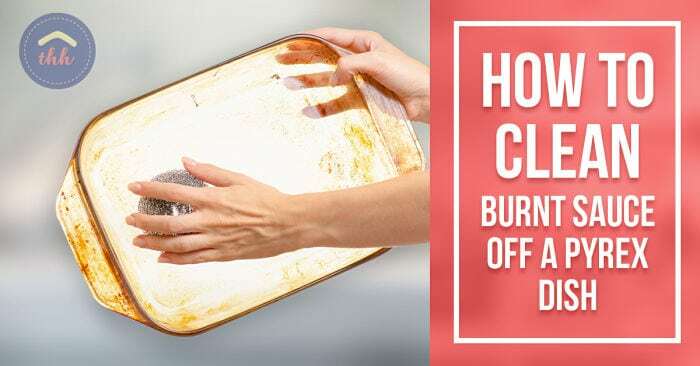 I posted this question on The Happy Housewife’s Facebook Page and we received some helpful advice and suggestions from our readers sharing how they clean burnt on sauce in a pyrex dish. Keep reading below for tips on how to make your pyrex dish clean again! Throw a dryer sheet in the water let it set for half an hour and wipe it off or use a ball of foil to scrape it off. A very wet paste of hot water and baking soda. Let it sit and soak. Vinegar, so you can actually eat the foods you cook in it next time. Although, I do this often, and all I need to use is an ocello sponge & 7th generation dish soap. I only bring out vinegar for the really tough jobs. Maybe do 50/50 vinegar & water to cover the dirty area & put back in the oven for a while. The boiling vinegar cleans even better than cold. Scotch Brite Stainless Steel scrubbers and a little elbow grease works every time!!! I use Oxiclean dishwasher detergent. Shake some in the pot or bowl your cleaning and add some dish soap and fill with hot hot water. Leave it overnight and it’ll wipe off. Fill with water and throw a dishwasher tab in overnight. Soak it with super hot water and some fabric softener overnight. Then use a plastic scraper. And, many products were mentioned like: Barkeeper’s Friend, SOS pads, and Mr. Clean Magic Erasers. If you have another suggestion not mentioned above to clean burnt on sauce in a Pyrex dish, then let us know in the comments below! Disclaimer: please use caution when using non-food safe products to clean dishes. 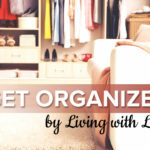 « Get Organized by Living With Less Clutter! I love my pyrex and have some vintage pieces that were passed down in my family that are so special to me. One thing that I have learned is that if it is a patterned or colored piece DO NOT put it in the dishwasher!! Only wash it by hand. Use gentle/natural cleaners nothing abrasive. If it is a clear glass piece then it would be fine to put in the dishwasher and scrub. My burnt on was around the edges and the handles of a casserole dish so soaking was pretty difficult. I poured vinegar on the target areas then sprinkled baking soda on it. It still took some elbow grease but it came off. I use the cleaner I use for my ceramic cook top (which is designed to clean burned on gunk from glass). Rub some on, let sit for about an hour and then use a soft scrub sponge. Works well for this and enameled cast iron. Genius! 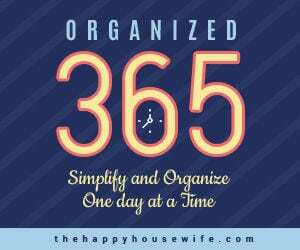 Don’t know why I (aka Mrs. Clean) didn’t think of it! LOL. After trying to soak and scrub for two days I searched for a solution on the internet and found one that worked. I used liquid clothes soap and added a bit of oxygen bleach. Soaked for 1 hour and it literally floated off the dish. Thanks for the tips. It drives me crazy when my Pyrex, which I use all the time, looks like I never wash them! How can pyrex stains be avoided ? Bon Ami works like a charm on Pyrex and CorningWare. Pots and pans too.